Triad celebrates three, a number of great symbolic significance. For the Chinese, three is the perfect number. There are three primary colours, red, blue and yellow. In numerology, three symbolises growth. In music it signifies the perfect harmony of the three-note chord. 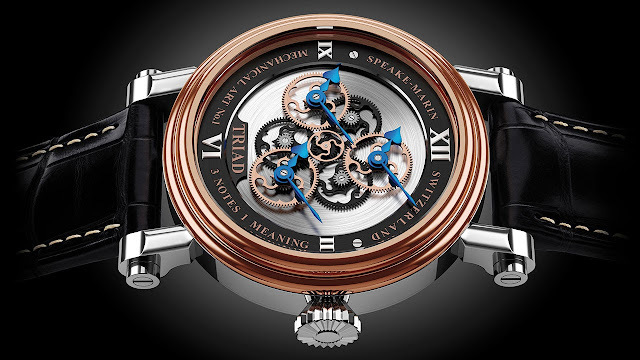 Such symbolism has fired the imagination of Peter Speake-Marin, the most Swiss of English watchmakers, inspiring the creation of the Triad watch. This is a timepiece like no other. Its silver dial displays three sets of synchronised hour and minute hands. This precisely coordinated choreography of six blued steel hands is governed by a gold wheel that rotates in 60 seconds. 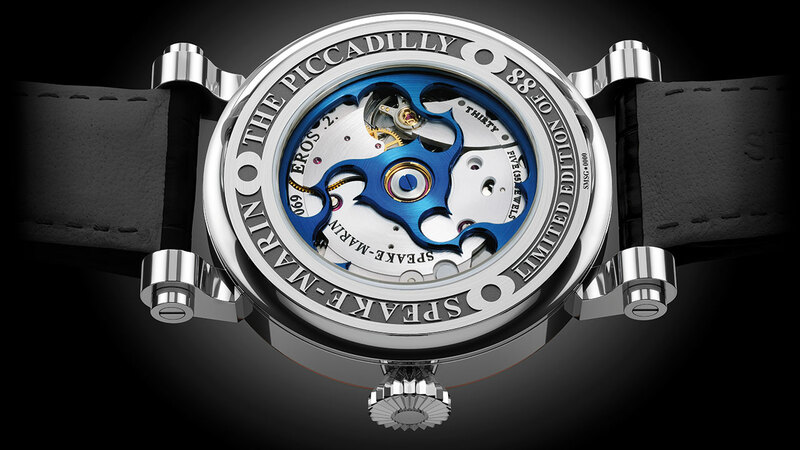 The automatic mechanical movement is housed inside Speake-Marin's signature Piccadilly case. An 88-piece limited series.